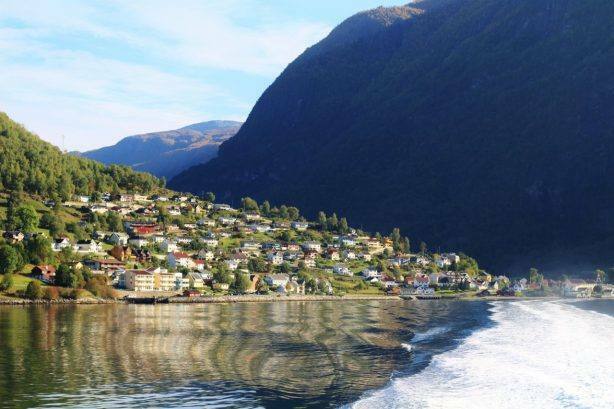 is beautifully located at the Western coast of Norway. Bergen is surrounded by mountains, local fjords & islands. Bergen is famous for its authentic areas of tiny wooden houses, steep hillsides & most of all, the picturesque UNESCO Bryggen wharf. 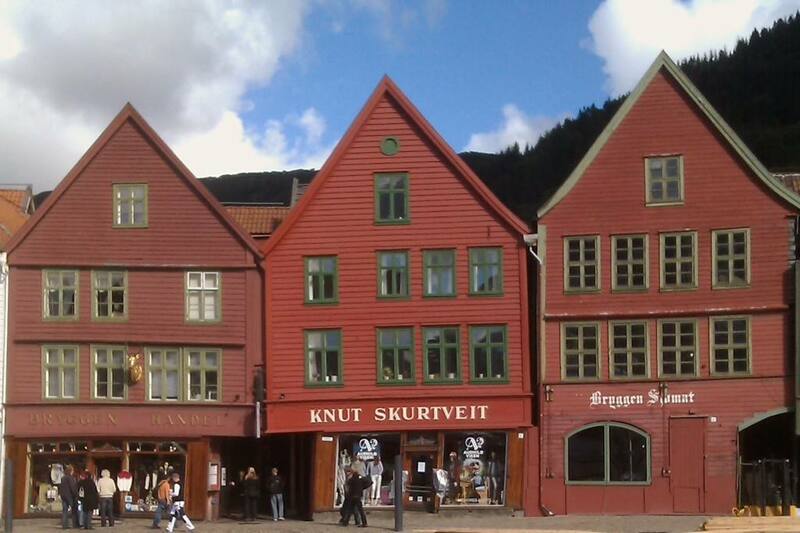 The old Bryggen wharf, a row of characteristique wooden houses, is a reminder of Bergen’s importance as part of the Hanseatic League’s trading empire (from mid 14th to mid 16th century). Bergen is surrounded by an amazing archipelago – a wonderful sight from the air. 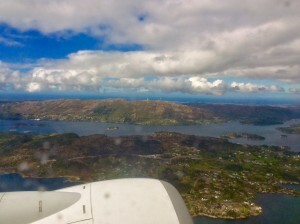 Bergen Flesland airport (BGO) is located close to the sea, a half hour from the city center (by public transport or taxi). You can reach Bergen by a domestic flight from Oslo or other Norwegian cities, by the airlines SAS and Norwegian. 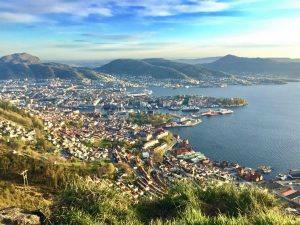 Bergen is surrounded by 7 mountains, of which the Ulriken is the highest appr 700 ms above sea level. Mount Ulriken & mount Floyen are the easier accessible mountains if you don’t have a car. 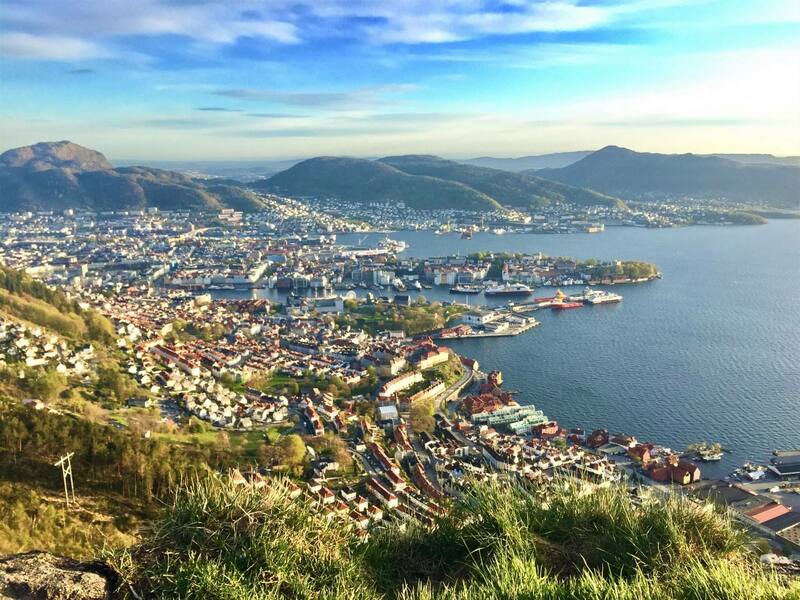 The mountains are important recreational areas for the inhabitants of Bergen, offering amazing views & excellent hiking. 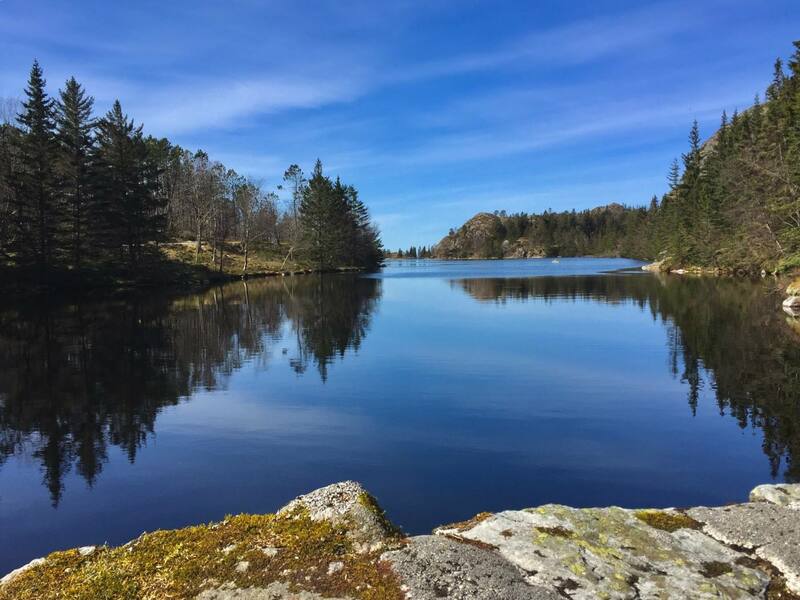 For experienced hikers it is possible to make a long hike by starting at Ulriken, then walk across the barren Vidden area and finish at mount Floyen. Of the two mountains, Floyen offers the easier hiking. 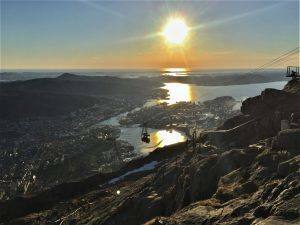 Mount Floyen is easily accessible from downtown by taking the Funicular tram (Floybanen) to the top, where you have a beautiful view of the city below. At the top of the Funicular you will find easy hiking trails as well as a restaurant/cafeteria & play grounds for children. Mount Ulriken is also easily accessible from the center by the Ulriken Express bus, with frequent departures close to the Tourist information/Fishmarket. The bus will let you off at the cable car station, then you can join a spectacular journey with amazing views all the way to the top of Ulriken, where you will find a restaurant as well as a mountain shop. 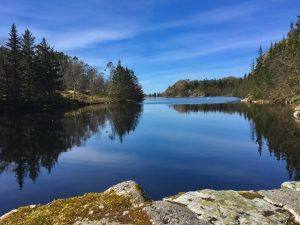 We only advise experienced hikers to explore the hikes at Ulriken, respecting the weather forecast and advise from locals.